Diane Gwilt is Acting Director Collections & Rsearch at Amgueddfa Cymru (National Museum Wales). She leads a team of 67 staff who are collectively responsible for the development, management and care of the museums’ five million collection items. Delivering public programmes requires balancing the risk inherent in using them with the need to hold them in trust for perpetuity for the benefit of society. I decided when I was fifteen that I would become a conservator and work in a museum, a commitment that has never changed. I soon discovered that whilst I was perfectly competent on a practical level, I was actually much more interested in, and better at, building networks and teams that promoted the value of conservation within the museum skill set and increased the influence of those involved at a practical level. I am instinctively drawn to solving problems, generally the more challenging the better, especially if in succeeding there are opportunities to bring groups of people together in new and creative ways. What have been the main highlights and challenges since taking up your leadership role with Amgueddfa Cymru? Highlight: seeing other people flourish because of the opportunities you have given them to develop their skills and talents. Challenge: keeping people motivated when opportunities for tangible reward in the form of enhanced pay or promotion have all but disappeared due to austerity. Be prepared to openly discuss difficult issues to develop solutions that reflect the views of those who are going to have to implement them; just because somebody does something in a different way to you doesn’t mean it is wrong or won’t work; try and avoid asking anyone to do something you wouldn’t be prepared to do yourself. As a country, it would have to be the impact of Brexit on inward investment as Wales has benefitted substantially from European structural funds. For the cultural heritage sector, the biggest issue is developing sustainable business models for organisations that until recently relied significantly on public funding. Within the cultural sector, I would identify Rachael Rogers for her role in developing the museum sector in Wales whilst President of the Federation [of Museums & Art Galleries in Wales]. The qualities I admire in leaders are strength of conviction, humility and integrity. Good leaders are charismatic communicators, whose enthusiasm and positivity is infectious, as exemplified by Barrack Obama. 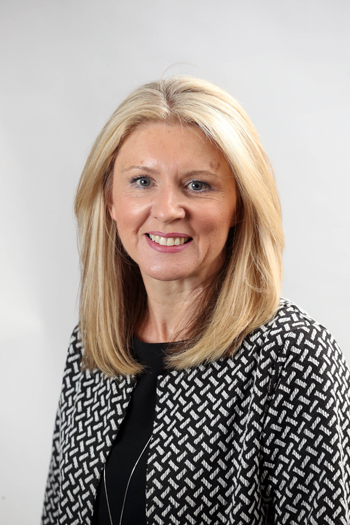 Alison Orrells is Managing Director at The Safety Letterbox Company Ltd responsible for total Company sales and profitability to include growth, establishing new markets, overseeing all aspects of the business – manufacture, R&D, sales, training and development, systems, marketing, e-commerce, online activity, accounts and administration. She is also responsible for all performance from the Renz Group of companies into the UK market. 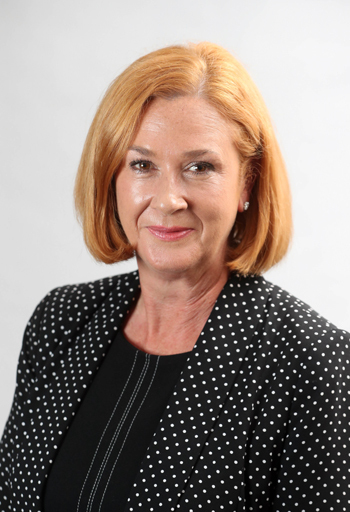 With a varied career which has involved many roles, great responsibilities, and exposure to different markets I have moulded myself to become a leader from such diverse experiences and have become a respected and realistic leader with the ability to be flexible, adaptable, resilient and competent in any situation. I have experienced the best and worst of business and economic climates. I have worked with international colleagues of all levels and been responsible for businesses and individuals for many years. I am also a parent of 2 teenagers and this has enriched my ability to have even greater insight into life pressures. What have been the main highlights and challenges since taking up your leadership role with The Safety Letterbox company? Establishing structure and systems within every department, running a factory environment, driving the business through recession, expanding into new export markets, taking the business through due diligence during its acquisition, achieving considerable growth, receiving many accreditations for the business, becoming Swansea Bay business woman of the year 2016, being a finalist of 6 in UK First Women awards – manufacturing sector, Winning Swansea Bay growth award, winning Swansea Bay Innovation awards, taking a business of less than 10 employees with a turnover <£500k to a multi-million turnover business as part of a group, highly profitable and a current workforce of 40. What have been the most helpful things you have learnt from these highlights and challenges? Plan thoroughly, empower, demonstrate resilience, be determined, tenacious, develop your team, communicate always, treat others fairly, create a positive and informative environment, measure and evaluate, always lead by example, have patience and perseverance, be reliable and honest, demonstrate integrity. Have self-belief, trust your instincts and always aim to have contingency. Predominantly the skills shortages are making it very difficult to recruit quickly, the uncertainty from Brexit is making the whole economy unstable as there is so much caution it is difficult to predict and plan, the lack of funding support and it’s availability is very difficult to unearth. There are many leaders I admire in Wales when speaking to them about their drive and determination to make a success of their business, in fact it is often those with limited finance and resource that I admire most, striving to lead and grow their business often in very difficult circumstances. Shakira Joyner is the MD of HCHR, an independent HR consultancy. 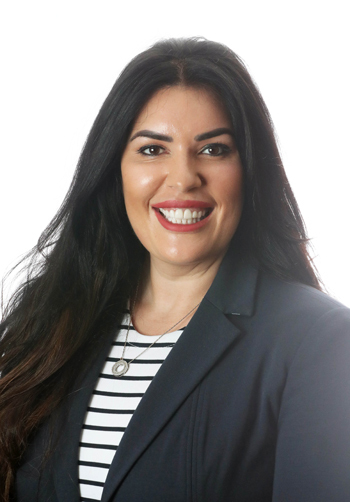 She offers a range of HR, Mediation and Health and Safety services to businesses who don’t have their own HR department or who require Senior Strategic HR and outsourced independent services. Shakira is responsible for the day-to-day running of HCHR and the development of the business into new markets. I was fortunate to have been ‘mentored’ by Heather Cooper, who established HCHR and who gave me the opportunity to develop my career. Heather has been a fantastic role model, encouraging me to develop and take my first steps in the HR world. When I started at HCHR, I had to learn and apply HR practices in my day-to-day work whilst gaining the qualifications and experience that have been instrumental in my becoming the MD of the company. Participating in the Lead Wales course enabled me to understand what type of leader I am to and improve the areas of my leadership that needed development. What have been the main highlights and challenges since taking up your leadership role with HCHR? The main challenge was practising HR and gaining qualifications at the same time. When we developed the exit strategy for Heather when she announced her retirement, I had to ensure that I had the skills to take over the full reins of the company and lead in the same positive and pro-active way. To have the same self-belief in myself as others do and to always seek advice and guidance from specialists. I have also learned the importance of always looking for the next opportunity to develop myself and my business in order to achieve my personal and professional vision and goals. Uncertainty in the economic and political climate in Wales due to uncertainty over Brexit. As a business owner, it is always unsettling when the future is uncertain and with potentially huge changes to employment law following Brexit, HR professionals will be facing their own challenges in advising and supporting clients. I have followed the career of Rachael Flanagan of Mrs Bucket Cleaning service for a number of years and I really admire her no-nonsense approach to business and the way she has determinedly worked on rather than in the business. A huge success story for such a young woman. 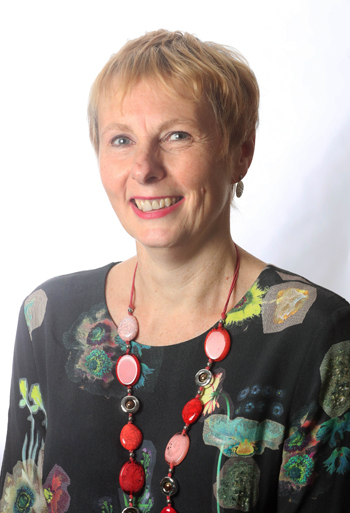 Lynne Sheehy is Corporate Social Responsibility (CSR) Manager at Legal and General. She has no team. Instead, she has the responsibility to motivate 1600 diverse people from different departments, grades and backgrounds, helping them to understand the company’s social purpose: ‘To Be A Force for Good’. Her leadership role is to provide opportunities that empower and inspire employees to give more – of themselves, their time, and even their money. I’m naturally a very upbeat/positive person with a can-do attitude and a strong work ethic, which was instilled in from a very early age. I was brought up in the Valleys in a family who always told me “if you’re going to do a job you do it well and to treat people the way you’d like to be treated” Simple but very important values I hold dear. Even when my parents didn’t always agree with some of the decisions I made (and there were a few!) they were open minded enough to listen to my opinion and respect the choices I made. They also provided the right support I needed to achieve my goals and were there to pick me up if I had a wobble and fell down. Sometimes you just need a hand to get back on track. I’d like to think I’m the sort of person who demonstrates these behaviours both in the work place as well as outside the workplace. What have been the main highlights and challenges since taking up your leadership role with Legal General? Highlights focus on helping to create a positive, inclusive and engaging work environment which supports nearly 1,600 employees in Wales, and which recognises the support they give to their own good causes. It’s about valuing the work they do in the wider community as well as in the workplace. Challenges many! But with a challenge comes an opportunity. Your business is only as good as the people who work for you and with you. You need to foster a positive environment that allows your team to flourish and have an understanding of the motivations of others at work and in the wider community. Potential skills shortage in Wales, particularly in the Financial Services sector. We need to ensure we provide development opportunities for our employees to help them to achieve their career aspirations. As responsible leaders, we also need to bring business, schools, colleges and universities together in a more structured way to improve young people’s understanding of the world of work, their awareness of careers choices and hone their employability skills. Barbara Natasegara, CEO, Safer Wales, she has so much integrity and passion and has led the charity through many transformational and challenging times. The work she does has such a positive impact on the lives of so many vulnerable people across Wales. It was a pleasure to sit on the Board with her for so many years.